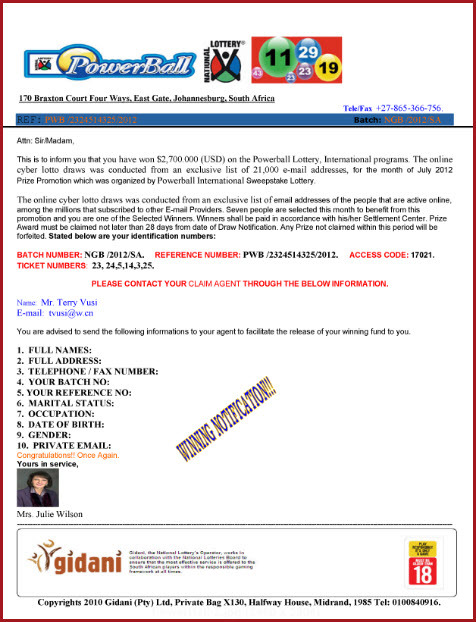 Home › Email Scams & Phishing › Lottery Email Scam: “You have won a large amount of money!” – Really? Lottery Email Scam: “You have won a large amount of money!” – Really? 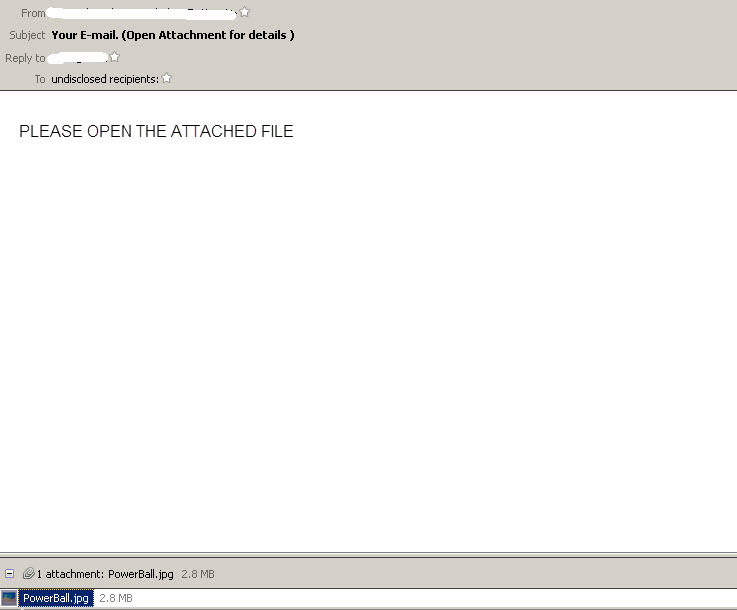 How often do you get spam saying you have won a prize, or a substantial amount of money? I reckon most people just classify it as junk, bin it, and think no more of it. But not everybody, which is why we think it is important to inform people of age-old scams doing the rounds again. It must be profitable for the scammers, as otherwise they just would not bother! At the moment we see an increase in emails claiming to be from lottery providers saying “You have won a large amount money”, in a lottery like Powerball , Jackpot or any other fake lottery and to contact the claims agent. Lottery scams often use legitimate lotteries overseas to trick the victim. The actual text of lottery scam emails varies, as do the so-called ‘winning numbers’, the prize values and name of companies involved. Some variations provide spoofed URLs and ask you to complete online claim form and submit. Once you contact the agent/reply to his or her email, you will be asked to pay some fees towards processing fees, taxes, couriers fees etc… in order for the winning amount to be released. The scammers will gain money and increase their profits by collecting these fees from you (and others they manage to fool) but you will never receive any lottery payment. But the scam does not stop once they have received their payment from you. They also ask you to provide your personal details in order to ‘prove’ that you are the correct winner and to give your bank account details so the prize can be sent to you. The scammer will use these details to try to misuse your identity and further gain access to money you have in your bank account. You could also be urged to keep your winnings private or confidential, to ‘maintain security’ or stop other people from getting your ‘prize’ by mistake. Scammers do this to prevent you from seeking further information or advice from independent sources. The sender itself claims that offer is legal and has government approval. If it sounds to good to be true, it most likely is…. Omniquad customers with Mailwall Remote email filtering wont have to worry about these types of scams, as we block this as part of the spam filtering service.